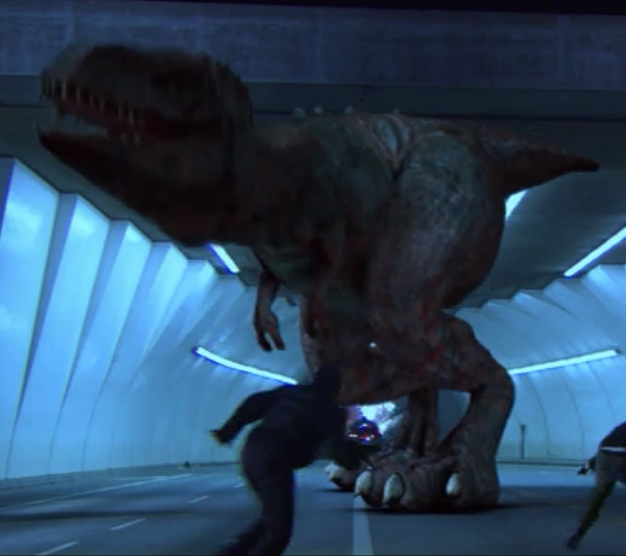 Lesson – If you want to watch something about time travel and dinosaurs, watch Primeval. If you read SciFridays with any kind of regularity, you’re familiar with Asylum films. I have a strong love/hate relationship with them. For instance, I enjoyed Two-Headed Shark Attack but I hated Megapiranha. They focus on making movies that are low-budget, B-movie esque, but usually not terribly serious. They’re also the creative team behind Megashark v. Dinocroc and Mega shark v. Giant Octopus. Honestly, this movie was bad. Not the good kind of bad, just…bad. It felt rushed and squeezed into the hour and a half, but the last half hour was somehow the longest half an hour of my life. The CGI was the most plastic I’ve seen since…well since Megapiranha. They re-use shots, too, very Shark Attack 3: Megalodon. 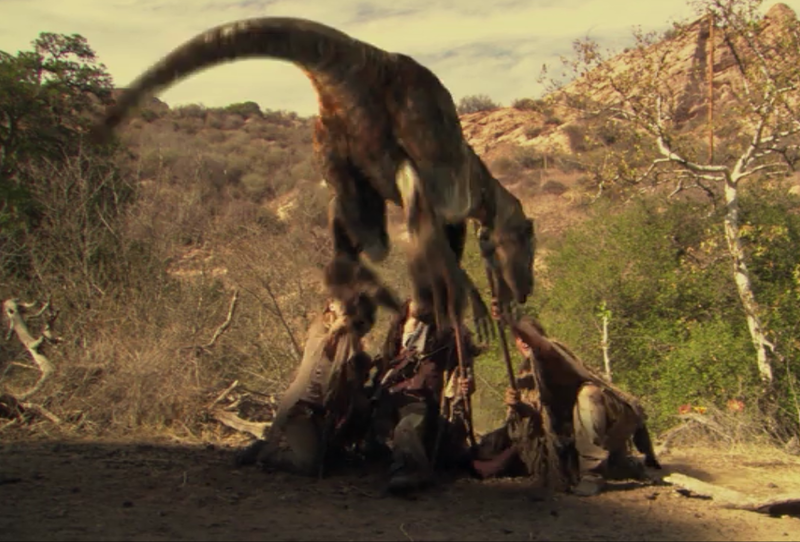 There are prop velociraptors, but they are honestly the worst things I’ve ever seen, and I want to like the prop guys, I really do. I know that’s a tricky job, but…they’re just bad. Realllly bad. Scenery, too. 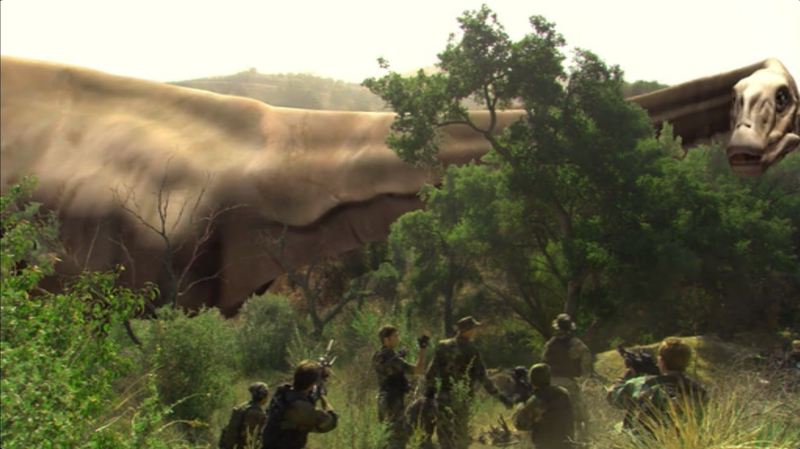 They made some plasticy plants and shoved them into the sets to make the set look more primeval. Ugh. Alright, let’s tackle the main issue here. Time Travel. It’s a sticky wicket. Time travel plots require foresight and meticulous detail. Asylum has none of these things. There is one second of science, and then the rest is mud. First of all, Navy SEALs are very specific with the way they dress/look/act. Clearly no one bothered to even consider this. Second of all, one is not allowed to pick and choose when a time paradox is or is not relevant. Time travel is always wonky. 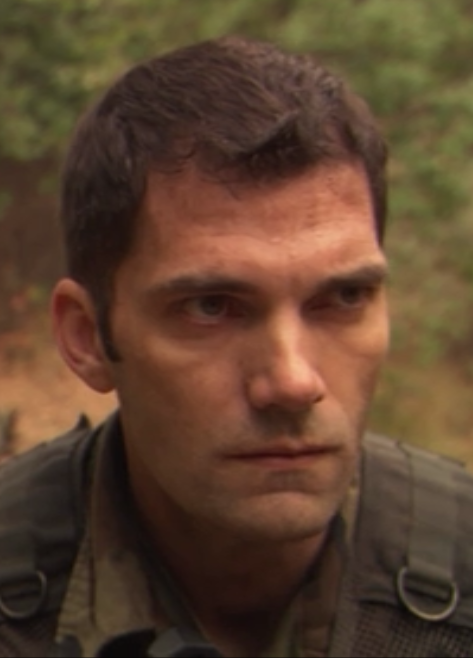 The scenario set forth by 100 Million BC is thus: Dr. Frank sends a team of SEALs into the past in 1949. They don’t come back. 2008 rolls around, and they seem to have a lead, so they travel back to wherever the SEALs are. Then they all come back to 2008, except Frank, who apparently gets stuck ‘halfway’ in 1950. He sends his younger self to 2008 to save everyone, and then young Frank and two of the 1950s SEALs go back to 1950, but two stay behind. You…you can’t just do that. UGH. Time travel aside, the dialogue is static and relies on the actors. The actors do not deliver. There are nitpicky things that I noticed because I’m neurotic like that. The sound is terrible the whole time (I actually thought this film was dubbed at first), but they don’t bother to do things like remove/avoid bird chirping. Birds. Dinosaur’s great great great great grandbabies. The velociraptors sounds are beyond bizarre. One of the stranded 50’s SEALs makes and uses a bow and arrow, which is cool until you remember that there should be no way for him to get feathers for the fletching (It’s worth mentioning that I know the current theories regarding feathered dinos, but since this film treats dinosaurs sans feathers, it’s inconsistent). The main dinosaur is total trash, too. They call him ‘Big Red’ because he’s big, and red. No, he’s not Clifford. They spend a good deal of time with this CGI, but it’s a strange one. As many issues as I have with the shading and textures (or lack thereof), it’s nothing compared to the issues I have with the shape of this freaking dinosaur. It’s Rex from Toy Story on steroids, but he’s not a T-Rex, or an Allasaurus. He’s a mascot on rollerblades. Does this century make me look fat? My suggestion here is that if you really really want to watch something with dinosaurs in it, check out BBC’s Primeval. It’s campy, like Doctor Who,, but it’s solid entertainment value and it’s not crowded into a low-budget hour and a half.